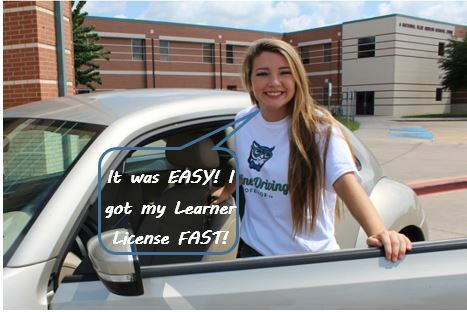 Texas Teens, ages 15 to 17 years old, who are enrolled in an approved Online Parent-Taught Teen Driver Education course, or a traditional driving school course, can apply for their Texas Learner License or Permit after completing the first six hours of the course. Getting your Texas Learner License should be a super happy event, but the fear of knowing what to bring can be stressful. We understand! Online Driving Professor’s TDLR-Approved course has a complete Texas Learner License Checklist to make sure our students bring the necessary items to apply for and receive their Texas Learner License quickly and easily.